Hauter returned to his alma mater in 2008 to take over for veteran coach, Page Cotton, who resigned after 39 seasons. Hauter enters his ninth season with the Tigers and 20th as a men's collegiate head coach and is just the third men's soccer coach in the program's history. In eight seasons at the helm in Greencastle, Hauter has led DePauw teams to a 100-30-24 record for a .727 winning percentage. His teams have compiled at least a .667 winning percentage to extend the program's streak of .500 or better seasons to 34 straight years. Hauters teams have surrendered just 138 goals in 154 contests. 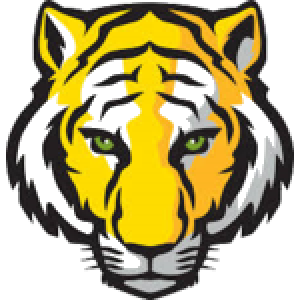 In 2015, the Tigers finished 12-4-5 overall and 6-1-2 in conference play and advanced for the first time to the round of 16 of the Division III Mens Soccer Championship. It was their third tournament appearance in the last five seasons and first since 2012. He directed the 2012 Tigers to a second-place North Coast Athletic Conference finish before winning the NCAC Tournament and earning the program's second straight appearance in the NCAA Division III postseason. The 14-2-5 DePauw team defeated Calvin in the opening round before falling to Dominican in overtime. The 2011 squad also finished second in the school's first year of NCAC competition, but came back to win the conference tournament and hand eventual national champion Ohio Wesleyan its second and final loss of the season. DePauw finished with a 16-3-1 mark and set the school record for wins in a season, while earning the first NCAA postseason spot since 2000. Hauter led the 2009 and 2010 teams to third-place Southern Collegiate Athletic Conference finishes. Hauter served as an assistant at DePauw in 1988 as the Tigers earned a spot in the NCAA Division III postseason. He then was the men's assistant at Judson (Ill.) where the team won two NCCAA national titles. After one season as men's and women's assistant at Gustavus Adolphus College, Hauter landed his first head coaching position as the men's coach at St. Mary's (Minn.). He led the Cardinals to a 57-41-6 mark in six seasons before moving on to become the women's head coach at Rose-Hulman Institute of Technology in 2001. Hauter directed the Engineer women to an 86-39-6 record in seven seasons with a 19-3 mark in 2007 which included the program's first appearance in the NCAA Division III postseason. In 2003, he assumed additional duties as the men's head coach and recorded a 55-37-5 record in five years including a 15-4-1 mark in 2006. Hauter was the 2007 Heartland Collegiate Athletic Conference Coach of the Year in both sports. Overall, in 19 seasons as a collegiate men's head coach, Hauter's teams have posted a 212-108-35 record, while his women's teams were 86-39-6 in seven campaigns. Hauter also served as assistant coach for the Rockford (Ill.) Raptors men's professional team from 1997-2000 and the Rockford (Ill.) Dactyls women's pro team in 2000. In the summer of 2003, he traveled across the country from San Francisco to New York on a lawn mower to help raise revenue and awareness for the Keep America Beautiful organization. He previously completed a similar trip in 1999 and served as a spokesperson for the national organization from 1999-2008. Hauter was the founder and director of "Off the Streets", a non-profit organization formed in Chicago to help the homeless and served as host and producer of Junk'd, a home makeover show with 1.5 million weekly viewers. An author of a soccer coaching manual entitled The Invisible Game in 1994, Hauter has directed camps at various levels for 20 years. In September 2004, He published, Counter Terrorism, which is about a squirrel that teaches a boy a better way to live. Hauter earned a bachelor of arts degree in psychology from DePauw where he was a four-year starting goalkeeper and two-time MVP. The Tigers compiled a 44-16-4 record in his four seasons including a 15-1-1 mark in 1986 for a school-record .912 winning percentage. That season, Hauter finished with a 0.61 goals against average and allowed just 10 goals and recorded a school-record 12 shutouts. He totaled 33 shutouts in his career and upon graduation played professionally in the United States for a decade. Hauter earned induction into the DePauw Athletic Hall of Fame in 2004.